Happy Monday!!! I hope you all had a great weekend! 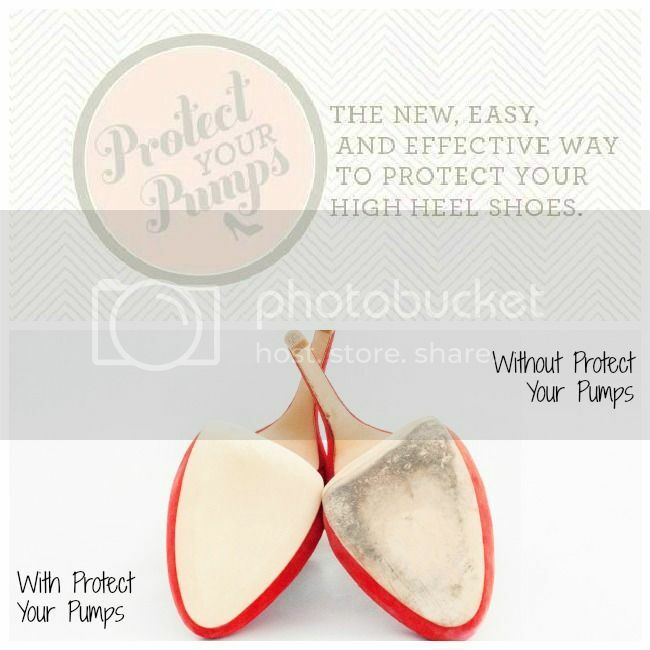 We're kicking this week off with a little gift for TheRightShoes readers, brought to your by Protect Your Pumps! 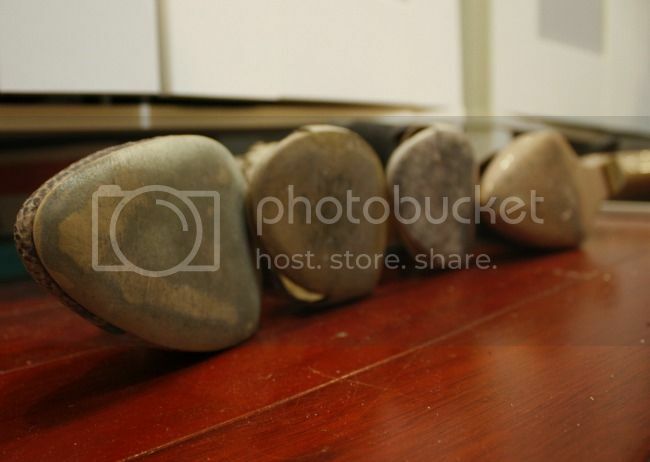 Yes, that's the bottoms of four pairs of my heels! Yikes! Annd it's kind of embarrassing! Aside from living and walking in NYC all the time let's face it, most shoes just get scuffed up on the bottoms. Whether you spend $20, $100 or $600 on a pair of shoes I'm sure you want to keep them in tip-top shape. Lucky for those of us that want to prevent this, Kathryn Jackson came up with Protect Your Pumps. These nifty transparent non-slip adhesives go on the sole of your shoes and act as a buffer between the bottom of your shoe and the ground. The adhesives come with a sole template but they can be cut to fit any sole shape. Make sure to note that the adhesive will need to be changed after several wears though (although some customers have gotten 9 wears with one pair!). Protect Your Pumps are sold in a single pair pack or a triple pair pack. You can easily stock up because they are offering TheRightShoes readers a 15% discount with the code "rightshoes"! I've already ordered a pair and I can't wait to use them on my next shoe purchase! If you want, check them out Twitter, Facebook and Instagram. I would love to hear if you try (or have tried) Protect Your Pumps! Let me know in the comments below! *Disclaimer: this is a sponsored post. Note that I only recommend products or services I use personally and/or believe are a good recommendation for my readers. I liked reading your post, which was actually referred to me by a good friend of mine.I am a big shoe lover and I have huge collections of Fendi pumps and also from Gucci.